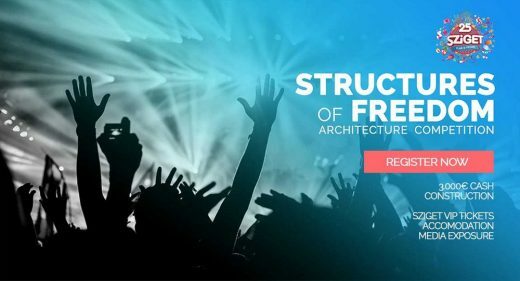 Archtalent, an online architecture platform for Architects, in collaboration with Sziget, one of the largest music and cultural festivals in Europe, make an international call to design a temporary structure within the particular context of a music festival in the city of Budapest in Hungary. 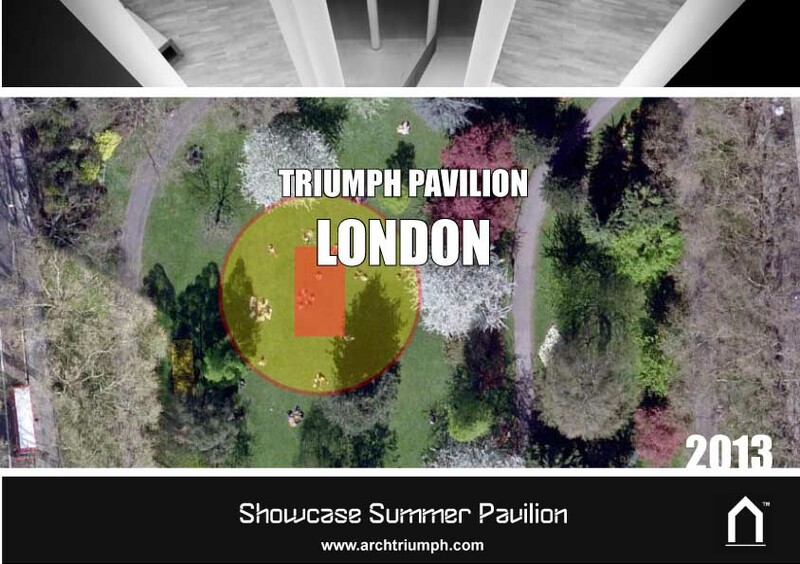 The aim is to use the current model of architectural competition to develop a new contest in terms of format and scope, which should be an opportunity to all emerging talent anywhere in the world to boost their potential in a real competition, and showcase their built project to an audience of thousand of people. 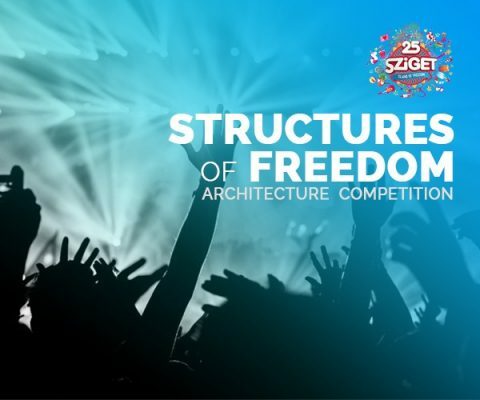 “Structures of Freedom” is a single stage competition with the objective of receiving ideas from all over the world for the development and construction of an ephemeral structure in a unique music festival like Sziget, under the following concepts: design, innovation, context, recyclability and sustainability. The competition is open to architects under the age of 40, and participation can be both individual or in teams. Students can participate as part of a team, with the sole condition that at least one member of the team is a graduate architect under the age of 40. We look for proposals committed to innovation while reaffirming the values of the festival, which are much more than the music. Sziget festival is one of the largest music and cultural festivals in Europe, its first edition took place in 1993 and next August will celebrate its 25th anniversary. It is held every August in northern Budapest, Hungary, on Óbudai-sziget (“Old Buda Island”), a leafy 108-hectare (266-acre) island on the Danube. More than 1,000 performances take place each year. The week-long festival has grown from a relatively low-profile student event in 1993 to become one of the prominent European rock festivals, with about half of all visitors coming from outside Hungary, especially from Western Europe. By 1997 total attendance surpassed the 250,000 mark, reaching an all-time peak in 2016 with 496,000 visitors from 95 countries (the daily capacity having been raised to 90,000). It is now being increasingly labeled as a European alternative to the Burning Man festival due to its unique features (“an electronically amplified, warped amusement park that has nothing to do with reality”). In 2012, Sziget was ranked one of the 5 best festivals in Europe by The Independent. The festival is a two times winner at the European Festivals Awards in the category Best Major European Festival and has been multiple awarded in other categories. Archtalent and Sziget festival make an international call searching new ideas for the design of an ephemeral structure as a gathering place for people to meet and rest while enjoying of the interaction of music, art and the magnetic and historic context of the Festival and the island. 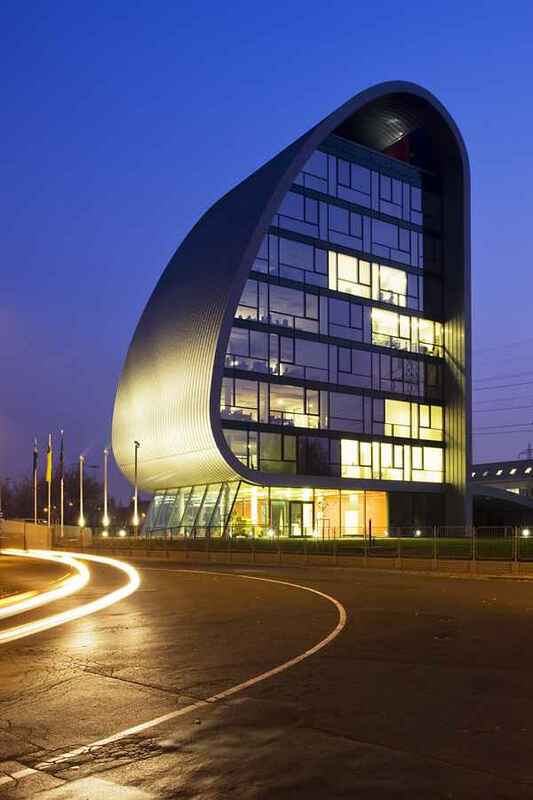 The designed space should serve also as protection. 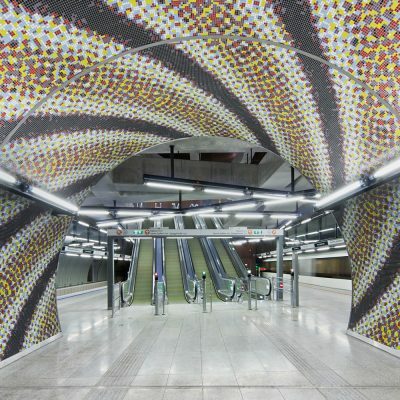 Must be an iconic oasis for the warm and sunny weather of Budapest in August, where comfort, in terms of design and sustainability, will be guaranteed. We propose facing the architectural theme from the premise of designing a landmark for the festival, harboring a free and flexible structure, an “object that works like a lamp or patio” that locates, guides and attracts the people inside the festival. Interactive or participatory architecture blurs the lines between the architect, the architecture, and people engaging with the proposal. 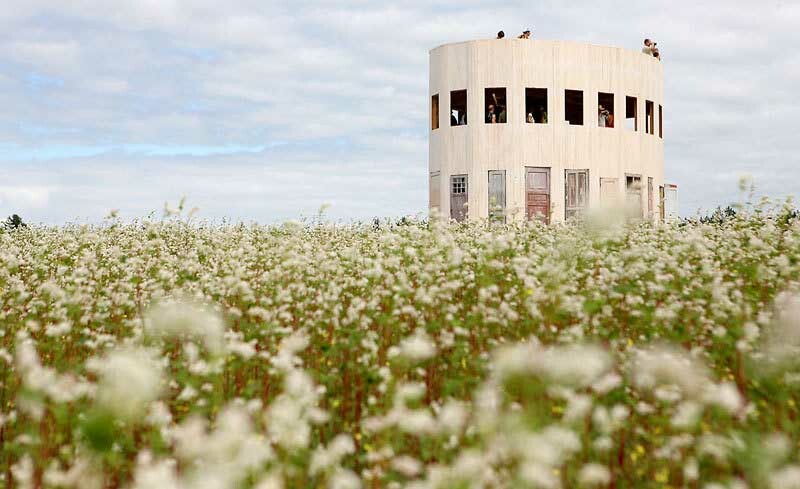 We look for proposals that encourages people to engage, experiment, and explore their environment. Participant’s experience of the piece alters as he or she moves around it. The competition pretend to be an explosion of creative energy. A celebration of participatory music, art and culture where everything is possible. The competition is open to architects under the age of 40 from all over the world, and participation can be both individual or in teams, where teams should be up to 3 people. Architecture students can participate as part of a team with the sole condition that at least one member is a graduate architect under the age of 40. Under no circumstance, members of one team are allowed to participate with a different team and each entrant or team may submit only one proposal. ●	Publication in our channels and media partners. ●	VIP tickets to attend the festival for every team member. 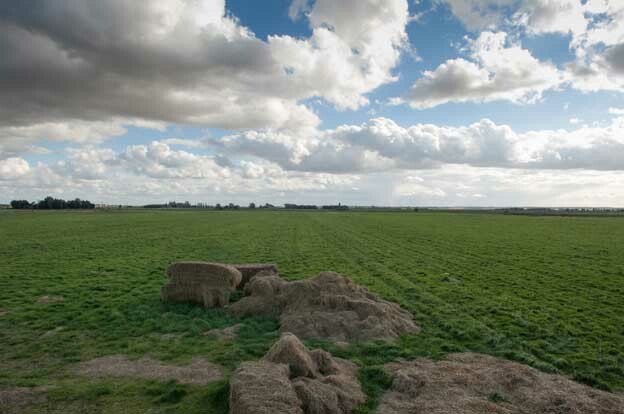 ●	One week accommodation in the campsite for every team member during the festival. Registration and payment can only be made through Archtalent website. The Sziget Festival (Sziget is Hungarian for Island) is one of the largest music and cultural festivals in Europe. It is held every August in northern Budapest, Hungary, on Óbudai-sziget (Old Buda Island). Budapest Architecture Tours by e-architect, running tours since 2000!